Washington D.C. – Consumers Union, the policy and mobilization arm of Consumer Reports, today responded to the Environmental Protection Agency’s withdrawal of its final determination for fuel economy standards for new cars and trucks for model years 2022 through 2025. Shannon Baker-Branstetter, policy counsel for Consumers Union, said, “The Administration should reconsider today’s action. The EPA finalized the standards after a thorough study of costs and benefits. A decision to withdraw the standards is nonsensical, as it would merely funnel more money to oil companies at consumers’ expense and halt the progress that can be made in both savings for consumers and vehicle efficiency. The standards already take the cost into account, and the record shows that they are a reasonable, cost-effective approach to improving fuel efficiency and lowering consumers’ expenses. Consumers Union recently issued a new report debunking industry claims that fuel economy standards have hurt vehicle affordability. The study examined the price of vehicles over the last 20 years and found that prices remained steady even as fuel economy improved. 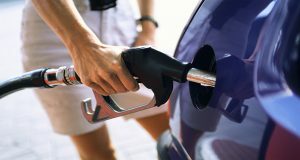 The findings show that all households benefit from improved fuel economy, but particularly lower-income households who spend a higher percentage of their income on fuel. Thanks to improved fuel economy, an average new car buyer in 2015 saved $523 in fuel costs annually when compared to an average 2005 vehicle. As Baker-Branstetter noted, “Fuel economy and safety have both improved while vehicle sales have hit new records and, as our new report shows, entry-level car prices have remained steady. “Unlike other updates found in today’s vehicles — like new luxury, convenience and technology upgrades — fuel economy technologies are the only ones that pay for themselves. In our studies of the fuel economy standards, we found consumers could expect significant net fuel savings – up to $3,200 per car and $4,800 per truck – over the life of the vehicle, even with low gas prices. Weakening the standard now would mean consumers would lose out on some of those savings. For middle class families struggling to pay bills, raising costs at the pump is a bad deal.